Gordon is a 24-year-old Orlando Native. He graduated from Florida State University in 2016 with a degree in Economics, minor in Psychology, and a certificate of competency for the application of unmanned air systems within emergency management. He founded Archer First Response Systems at the beginning of 2014 during his sophomore year. Archer First Response Systems was accepted into FSU’s Business Incubator called the InNOLEvation center. While in the incubator Gordon was awarded the Geneva Grant for technological innovation. 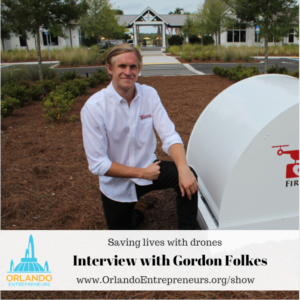 He has been building and Flying Multi-rotor SUAS since 2013 and is passionate about their positive integration into society to solve big, life-threatening problems. When he is not working on Archer, Gordon enjoys sailing, wakeboarding/surfing, and skateboarding.